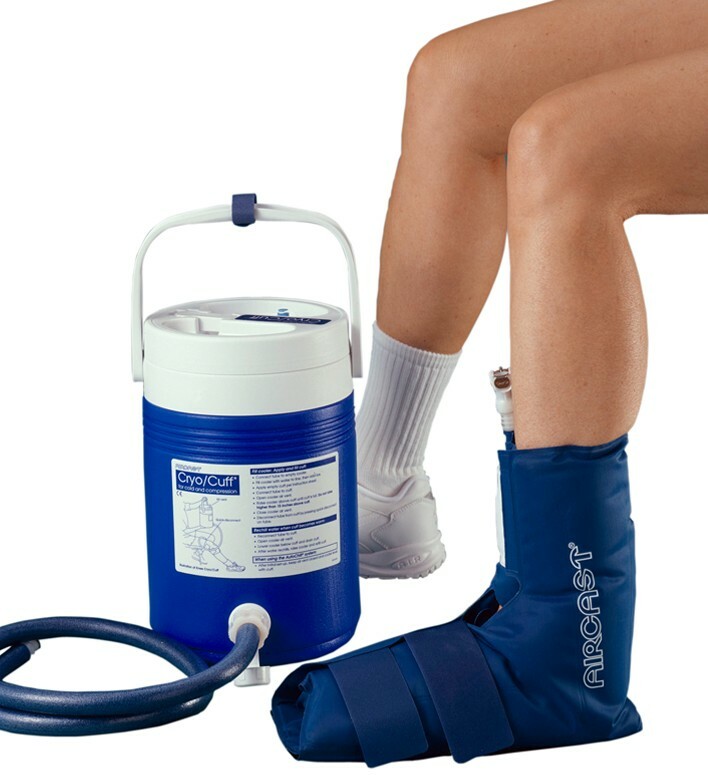 Aircast Ankle Cryo Cuff With Cooler(Non-Motorized Kit),maximum relief from swelling, inflammation, pain and swollen joints by using the cryo therapy treatment for ankles. Aircast Ankle Cryo/Cuffs with cooler are designed to give maximum relief from swelling, inflammation, pain and swollen joints. Aircast Ankle Cryo/Cuff with Cooler by DJO Canada provides cooling system to ankle to minimize pain and swelling. Controlled cold eliminates the risk of any further damage. It is designed in such a way that it can fit the injured area completely. Comes with ankle Cryo/Cuff and cooler. Cooler can also be detached whenever needed for continued treatment. Ankle Cryo/Cuff can be ordered seperately or can be combined with a cooler. The cold from the cooler helps to minimize the pain. Available for adults and Pediatrics. Does this product work anyone? I had a surgery and I am looking for a cryo treatment. My physical therapist has recommended this product. Price look too good to be true on this site? I got this for my Grand father who had a ankle sprain. He was very happy with the product and also the recovery was quick. Easy to operate. He does it for himself. Thanks!!! I would use this website again if need be. I got the best deal for this cuff and delivery was at a lightening speed. The product itself is so good that I felt the relief within 10 days of wearing it. My swelling was gone and I could walk around easily again. I had an ankle surgery. I bought this cryo cuff as my doctor recomnded it. It worked fantastically. Speeded up recovery time. It lessened the pain and swelling. Its cost was so economical in reach. Thanks !!!! I had an ankle surgery. I bought this cryo cuff as my doctor recommended it. It worked fantastically. I had a speedy recovery. It lessened the pain and swelling. Its cost was so economical in reach. Thanks !!! !